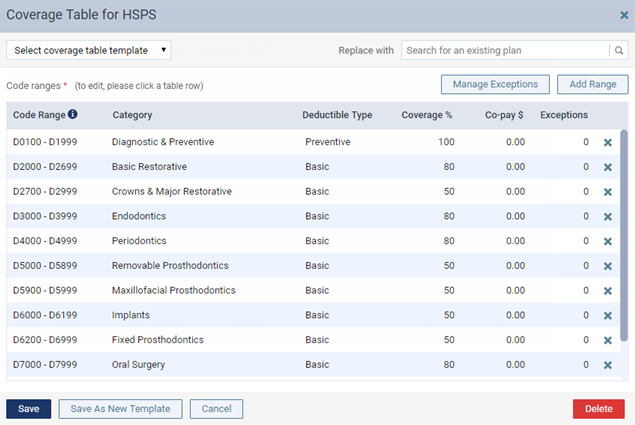 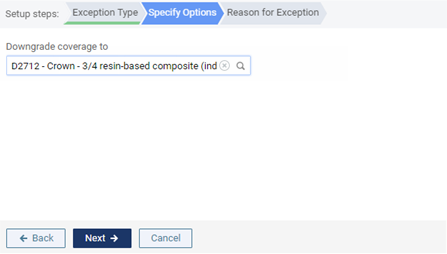 You can add exceptions to the percentage covered by insurance for a procedure or range of procedures in a coverage table that is attached to an insurance plan and in any of the coverage table templates. 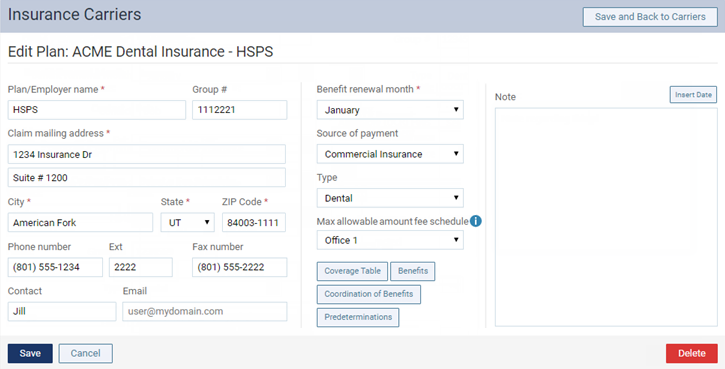 Tip: You can add exceptions in a coverage table when you are editing an insurance plan that is attached to a patient's record. 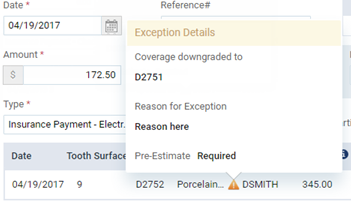 Click (or tap) Add New Exception. 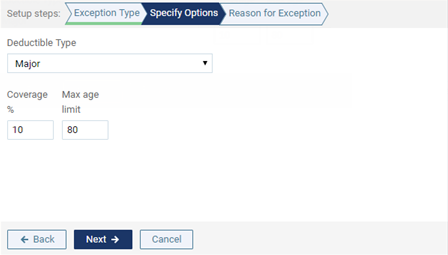 The options for adding the exception become available.